Pictured are: Stella, Marie, Victoria, Rosie, Helen, and Walter Marganski. The latter three are triplets born in 1920. 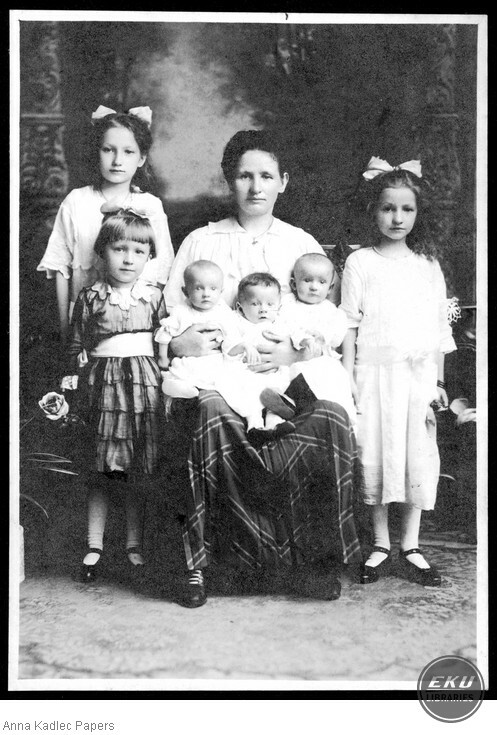 Narozny Studio, “Mary Marganski and her Six Children,” Digital Collections, accessed April 18, 2019, https://digitalcollections.eku.edu/items/show/13368.